'The 59 trees in this registration, have a spread of 6-15.00m. and a girth of between 1.75-3.75m. 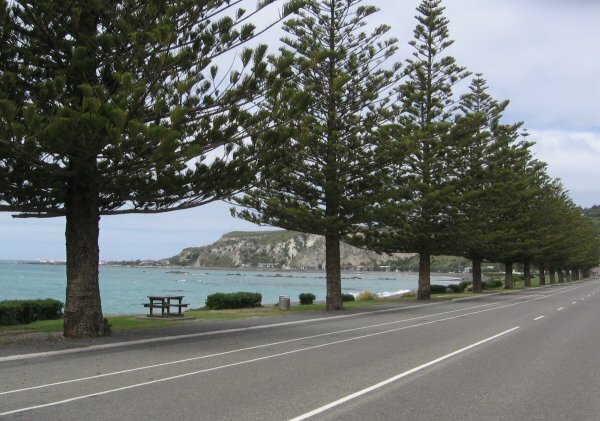 These Norfolk pines line the seaward side of the Esplanade. 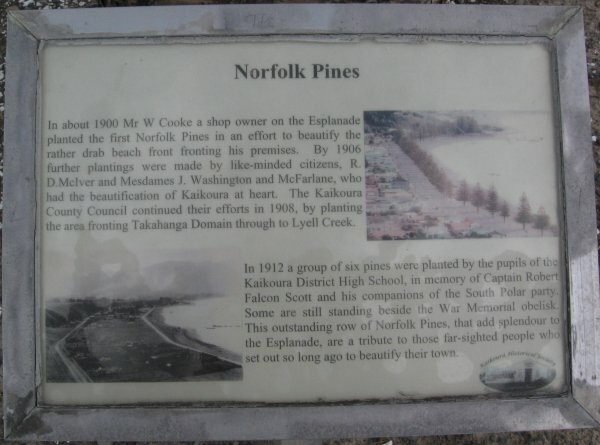 Mr W. Cook planted the first trees in 1900. There were further plantings in 1906 by Mesdames Washington and McFarlane. In 1908, the council voted ten pounds sterling to plant more trees beside Takahanga Domain. 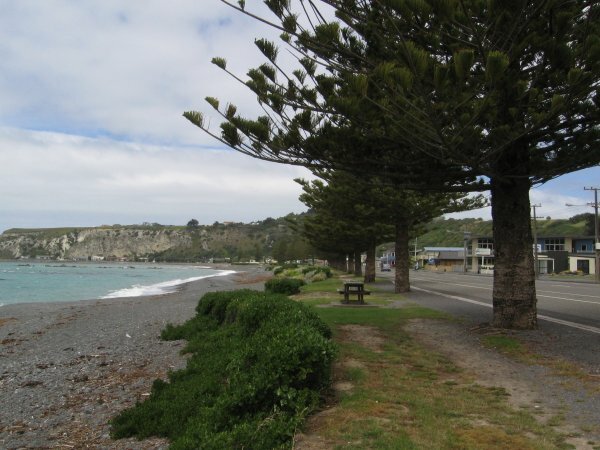 In 1912, Kaikoura High School planted a further six trees in memory of Captain Scott and his party, who died near the South Pole'. Elwood-Smith 1991. Reference. Burstall SW. FM Report no.21. 1974; p.15. The largest tree in the avenue is located near the memorial gardens CR/0948 (Cadwallader 2011). Marlborough Express Cone prank a risk to trees health 8 March, 2012. The general health of the trees is good. Several trees have had their tops broken by vandals climbing the trees and placing traffic cones atop them. Located on the seaward side along Esplanade Drive.